US aerospace giant's jet is a slightly improved F-16 Block 60, an aircraft already in service. Rafale fighter jet purchase: A controversy revved up and ready to take off? 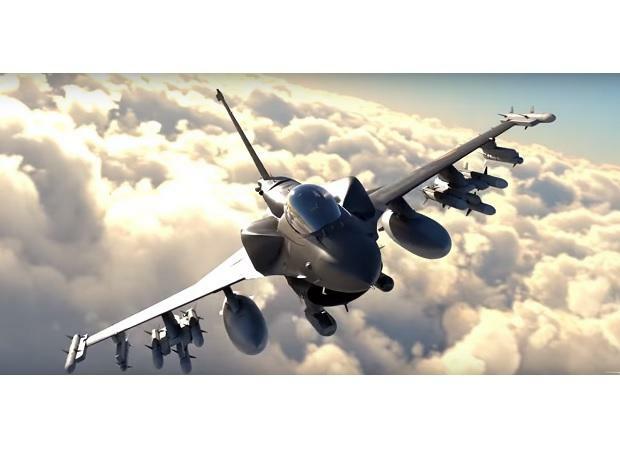 US aerospace giant Lockheed Martin has unveiled a “new” fighter, dubbed the F-21, which it intends to offer India, instead of the F-16, in the global contest to sell the Indian Air Force (IAF) 114 fighters. Launched on Wednesday, the first day of Aero India 2018 in Bengaluru, the F-21 has the tagline “The F-21: Different—Inside and Out”. But in almost every respect—engine, basic airframe and most avionics—it is a slightly improved F-16 Block 60, an aircraft already in service. In rebranding the F-16 into the F-21, Lockheed Martin appears to have accepted what many have warned it for years: that the IAF would never buy a fighter whose very name is associated across India with the Pakistan Air Force, which has operated the F-16 since the 1980s. The F-16 also carries the reputation of a dated fighter, having already been in service for four decades. A new F-21 which Lockheed Martin says is “specially configured for the IAF”, would perhaps overcome the reputation of an old-timer. To be sure, this is not the first time this ploy has been used. Russia Aircraft Corporation (RAC) rebranded its MiG-29 as the MiG-35, and fielded it as a new aircraft in India’s medium multi-role combat aircraft (MMRCA) contest from 2007-2015. Lockheed Martin has briefed Business Standard on the improvements in the aircraft, not all of which it says can be revealed due to operational secrecy. However, the airframe remains largely the same, as does the fighter’s engine. Randy Howard of Lockheed Martin says the changes include a “dorsal fairing”--a rib along the fighter’s spine in which additional equipment can be carried in the future, in order to improve the fighter’s avionic capability. The IAF has not asked for a dorsal fairing, but Howard says it is a “unilateral offer from Lockheed Martin. Aerospace experts say there is little to differentiate the F-21 from the F-16 Block 70, which will first enter service in Bahrain, The dorsal fairing, they say, is an attempt to overcome the IAF’s key reason for rejecting the F-16 in the MMRCA contest – that it lacked potential for growth. “This is a straight marketing play, following the same playbook as the Russians did when they rebranded the MiG-29 as the MiG-35”, says Pushpinder Singh, who publishes the aerospace trade journal, Vayu. Incongruously, the US military already has an F-21 fighter, suggesting the rebranding was done in haste. In the late-1980s, the US Navy bought the Israeli Kfir fighter to play the role of “aggressor” (enemy) aircraft in two-sided air exercises. That aircraft was named the F-21. Meanwhile, a US Air Force F-16 Fighting Falcon is carrying out aerobatic displays at Aero India, as are three Boeing F/A-18EF Super Hornets. The Rafale has a high voltage presence, with two flying displays daily. Swedish company, Saab, which intends to offer the Gripen E in the IAF tender for 114 fighters, is not participating in the flying display, but is displaying a fighter and a cockpit simulator. The other aircraft in the contest — the Eurofighter and Russia’s MiG-35 and Sukhoi-35 are not being displayed. On Wednesday, Aero India 2019 also witnessed the “Final Operational Certification” of the Tejas Light Combat Aircraft (LCA). This clears the way for manufacture of another 20 Tejas fighters—the IAF’s second Tejas squadron.